Fog haze or mist that hides objects behind it. If spheres with fog intersect, denser fog is created. 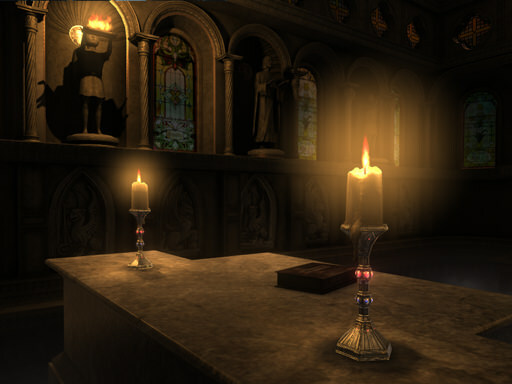 Spheres of light around point light sources, for example, a bulb or a candle. These spheres are visible when the light illuminates dust and other particles floating in the air. 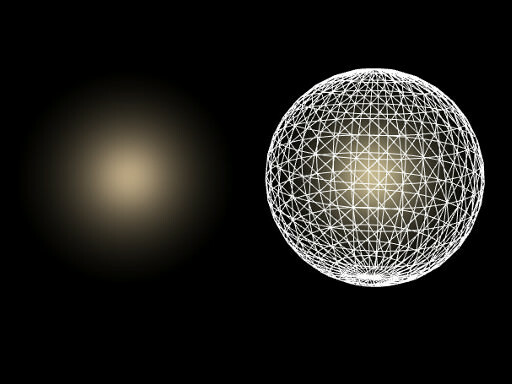 A light material is always rendered as a regular sphere. Toggles the editing mode for the volume sphere node. 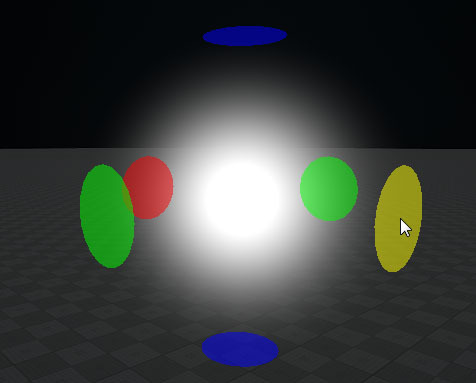 When enabled, the volume sphere can be resized along the axes: each axis is highlighted with the colored circle. To change the radius along the axis, drag the corresponding circle. Scale of the sphere along X, Y and Z axes respectively. If a volume light material is assigned to a sphere, it cannot be of an ellipsoid shape. A sphere is rendered based only on the X-axis Radius value. If its radii along Y or Z axes are smaller, then the object is cut along them.